Teachers, Get your NaNoWriMo on! Okay, I’m now excited for November for two reasons: Time to write something new AND time to walk my students through their first novels… That’s right, I’m doing it, diving in head first and teaching the NaNoWriMo Youth Writing Program. Fortunately, it fits right in with what we’re already teaching this time of year– narrative writing. Part of why I am so excited is because my students cheered me on last year as I attempted to write a novel in one month. This year, those same kids will get to try it themselves. 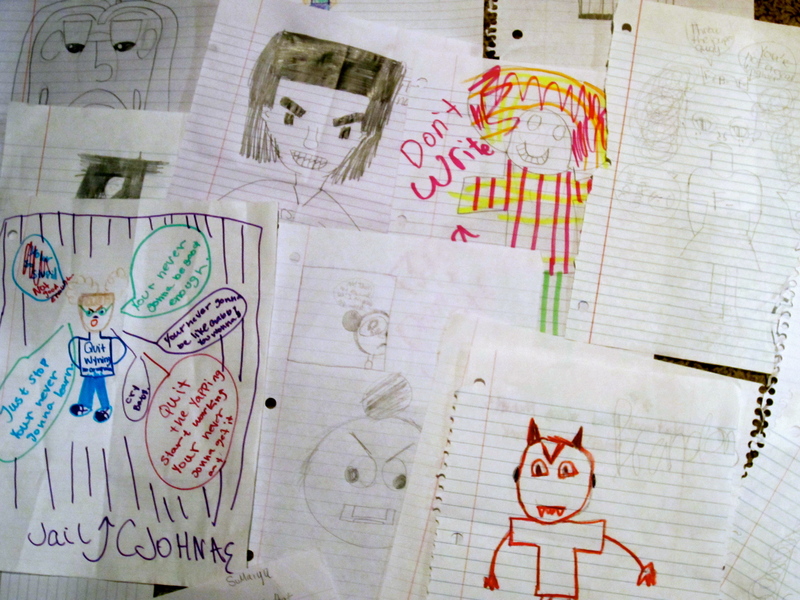 When I unveiled my master plan to my students this afternoon, they were giddy. The kind folks over at NaNoWriMo will even be sending them a free box of goodies to keep them motivated. Good-bye for awhile evil inner-voice editors! It’s funny, I was a little hesitant to teach narrative with NaNoWriMo because it feels like such an epic endeavor to convince fifth graders to pour their attention into novel writing for an entire month. However, day 1 down of preparing their thoughts and I feel like it might be an awesomely memorable part of their year. They’re excited, I’m excited… Wish us luck! Sometimes I wish I could trade classes with you for just like 30 minutes so you could share what it’s like to be a “real writer” with my kiddos. I think they’d think you were SO COOL!!! Haha, not sure how real I am, but would happily talk to your kids if you want me to 😉 Maybe you could hype mine up about art and running while you’re in my room… They could use some excitement in those departments! I still wish we had an AM running club for them to get their energy out in the morning! If you’re down, I’m down! 🙂 We could collaborate something wonderful! The target is 30,000 but adjustable for grade level/personal goal. For my students, I just told them we’ll go as long as we have group momentum… Could be a few days or a few weeks!